The national statistics regarding drunken driving accidents are troubling to say the least. A collision involving an intoxicated driver occurs once every minute, and nearly 10,000 people are killed in alcohol related accidents each year. Unfortunately, criminal proceedings against the responsible driver only serve to punish, they do little to assist the survivors of the victim. This is why North Carolina has strong wrongful death laws that permit you as the beneficiary of the estate to recover financial compensation. Our drunken driving wrongful death attorneys can assist your family in its time of need by aggressively litigating the estate’s claim. 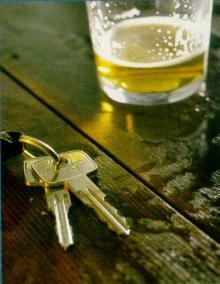 We have resolved multiple cases involving drunk drivers for confidential six and seven figure settlements. We are currently representing the family of a little girl who was killed by a drunk driver on Highway 85.To set up a free consultation, contact our Raleigh office at 919.526.0450. In a DUI or DWI wrongful death lawsuit, the estate of the victim is entitled to recover certain statutory damages. Those damages include expenses for the care, treatment and hospitalization of the victim relative to the injuries resulting in death; compensation for the victim’s pain and suffering; and reasonable funeral expenses. The larger element of damages is typically the “present monetary value” of the victim to his or her beneficiaries. While it may seem unsophisticated to place a value on the life of the victim, it is essentially what our legal system does. In determining this value, the jury will consider the net income likely to be received; the value of the services and assistance of the victim to his beneficiaries; and the value of his or her companionship and guidance, among other things. Importantly, in the context of drunken driving accidents, there is the additional element of punitive damages. These damages permit the jury to award money damages to you as the beneficiary merely to punish the defendant and make an example of him or her. The amount of the punitive recovery is designed to be related to how bad the defendant acted. If this was the first time he or she was convicted of a DUI, the damages would likely not be as high if it was his or her third DUI conviction. For punitive damages, the jury can award the greater of $250,000.00 or three times the amount of the estate’s actual damages. The threat of punitive damages can often lead to settlements of several hundred thousand dollars. The Raleigh drunk driving wrongful death attorneys of Maginnis Law can assist you in your time of need. Our professionals offer free in-office consultations and will travel to meet with you if necessary. All drunk driving wrongful death cases are handled on a contingency basis, meaning that the estate pays no attorneys’ fees until the matter is successfully resolved. Maginnis Law regularly represents clients from around the Triangle area, including Raleigh, Durham, Cary, Chapel Hill, Apex, Wake Forest, Clayton, and Fayetteville. To speak with a drunk driving wrongful death litigation lawyer regarding the death of loved one, call the firm at 919.526.0450 You may also send a confidential email to info@maginnislaw.com or have us contact you by filling out our contact page.